I must confess that I’ve barely touched on balloon crafts so far. I see them all the time, but, to date, I’ve only done one. Yep, only one awesome craft on this blog was made using balloons despite the fact that I love finding new things to make with unusual materials. But I figured there are so many great ideas out there, why not share? So here are 16 fun balloon crafts for you to try! Balloons aren’t just cheap a far as supplies go, but they also add a new dimension to your crafts. It’s a new material, and shape, and is so colorful and fun! You can see that the qualities of balloons were taken into different contexts with these balloon crafts, but all of them are bright and fun. 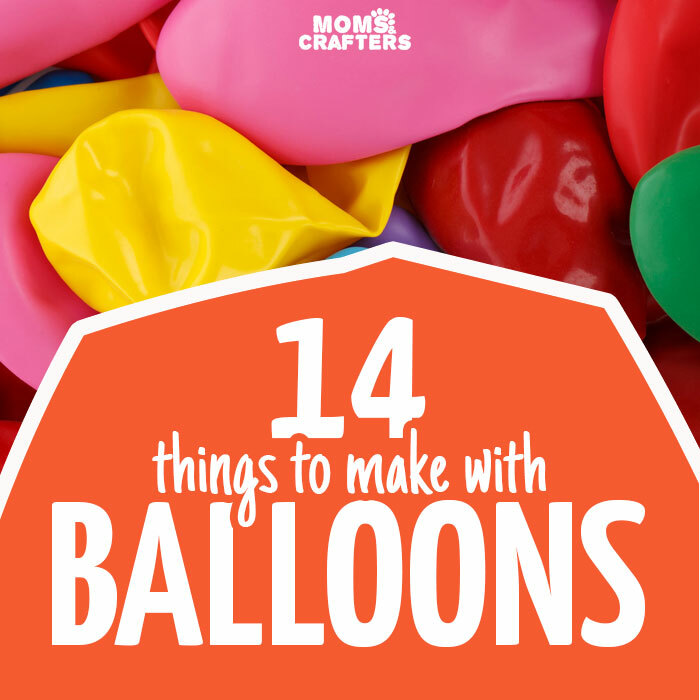 So whether you’re adding balloons to your craft cabinet as I did, or you’re just using up what’s left from your last party, I know you’ll love this crafty inspiration! I have created a square and vertical image for your convenience for sharing these balloon crafts. Please use the first or last image in this post when sharing and not one of the individual photos below, out of respect for the creators’ copyrights. 2. 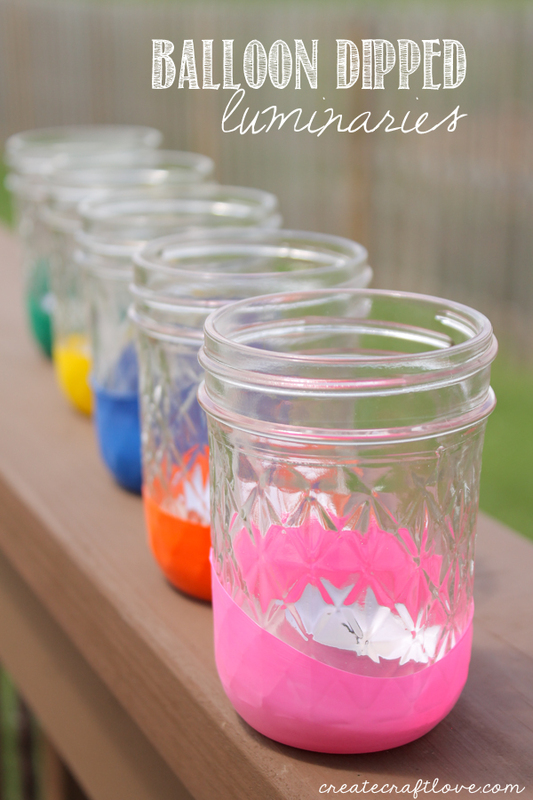 Use balloons to make these Balloon-Dipped Luminaries by Create Craft Love. Here the bright colors and elasticity combine for a fun color-blocked design. 3. 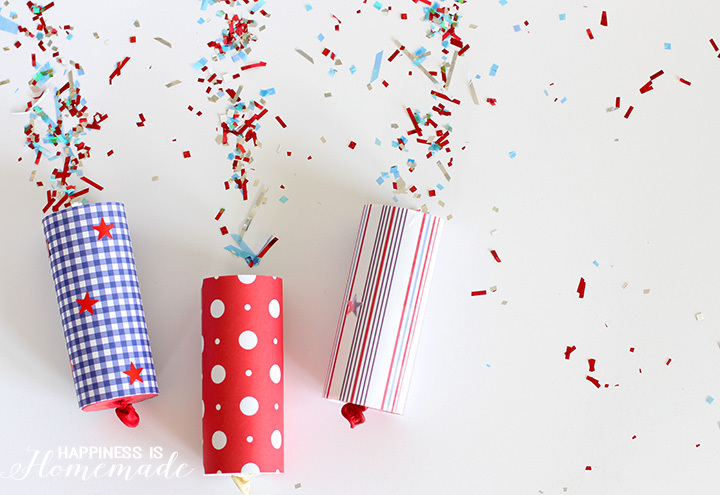 Once again, use the elasticity of balloons to make these DIY Confetti Poppers by Happiness is Homemade. 4. 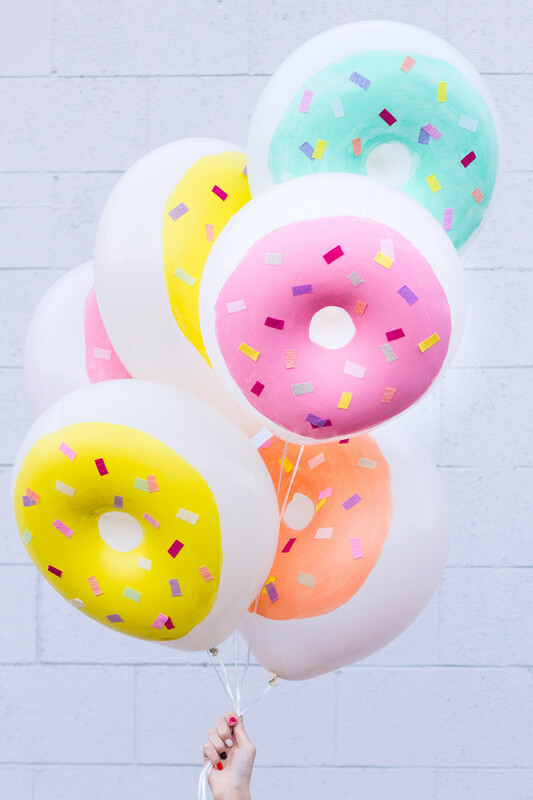 I LOVE these magnificent DIY Donut Balloons by Studio DIY – how clever is this? 5. 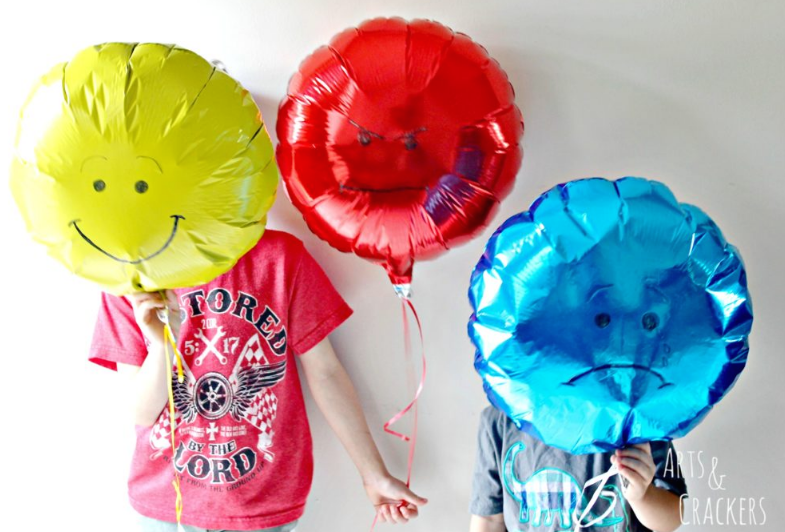 Turn mylar balloons from a party into Emoji Balloons by Arts & Crackers – it makes for a great teaching activity! Click on the image below to see how they played. 6. 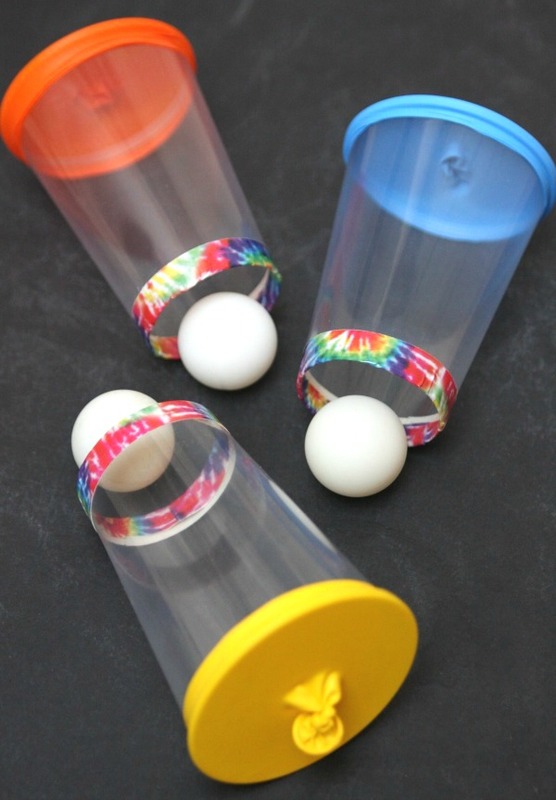 Here’s another way to take advantage of the elastic properties of balloons, with Balloon Cup Shooters by Happy Go Lucky. 7. 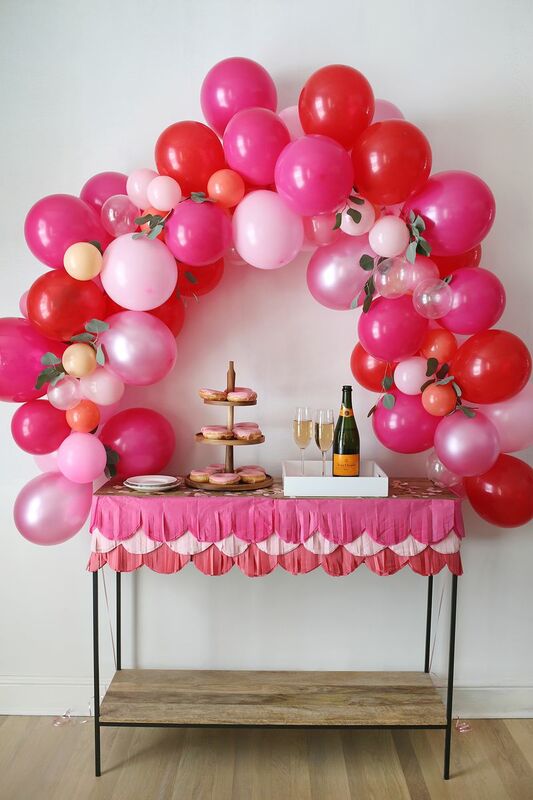 Up your party decor with a Fancy Balloon Arch by A Beautiful Mess. 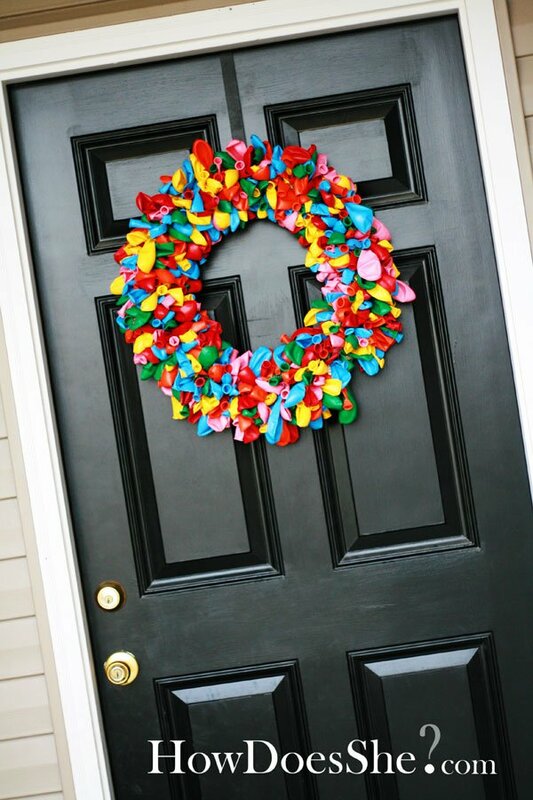 When you’re done with the party, take it apart and use it in another craft here! 8. 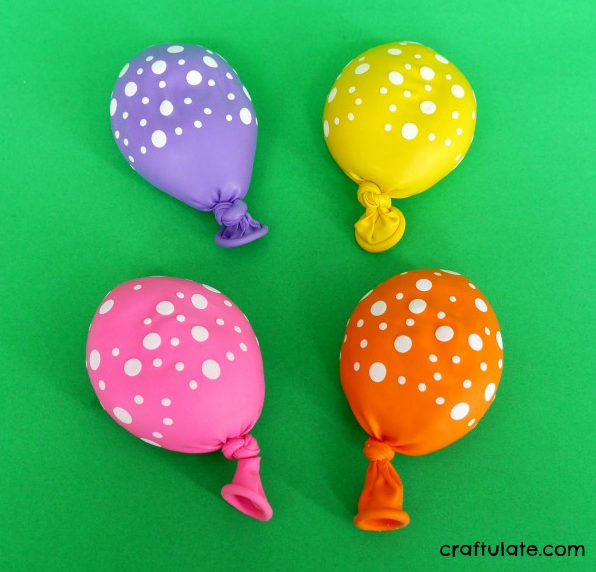 Relieve some stress with Play dough filled balloons by Craftulate! It’s geared toward kids but I’m thinking I can use a few…. 9. I love this clever Birthday Wreath by How Does She?! 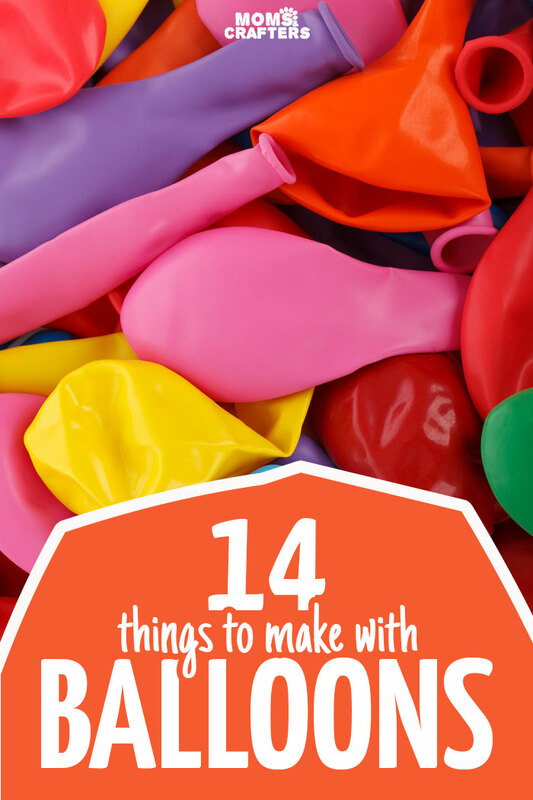 It’s a great way to incorporate balloons into your party decor, but with a fun twist. 10. 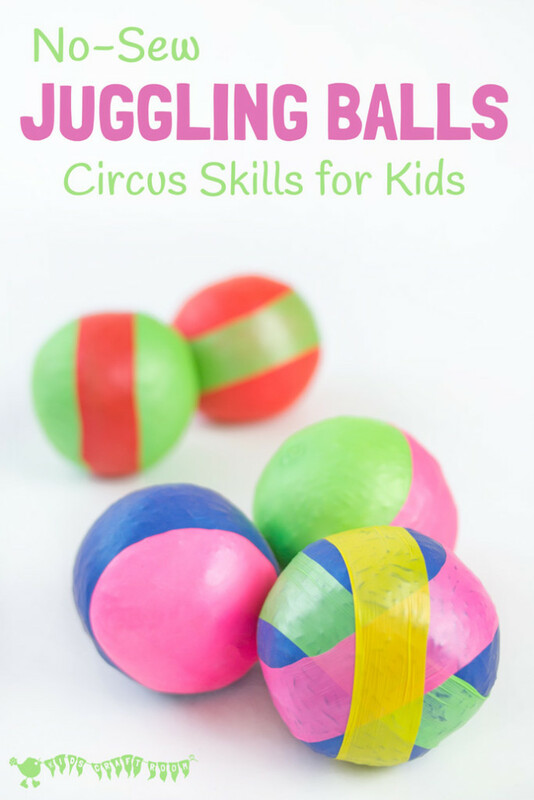 Make some No-Sew Juggling Balls by Kids Craft Room. 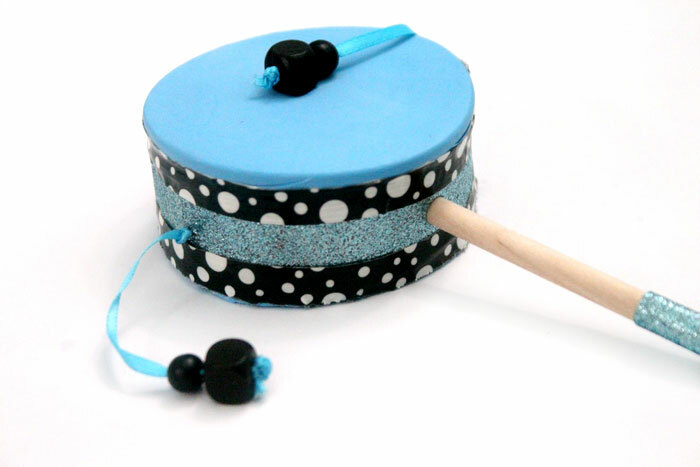 It’s an easy DIY toy that will entertain your kids for hours. 11. 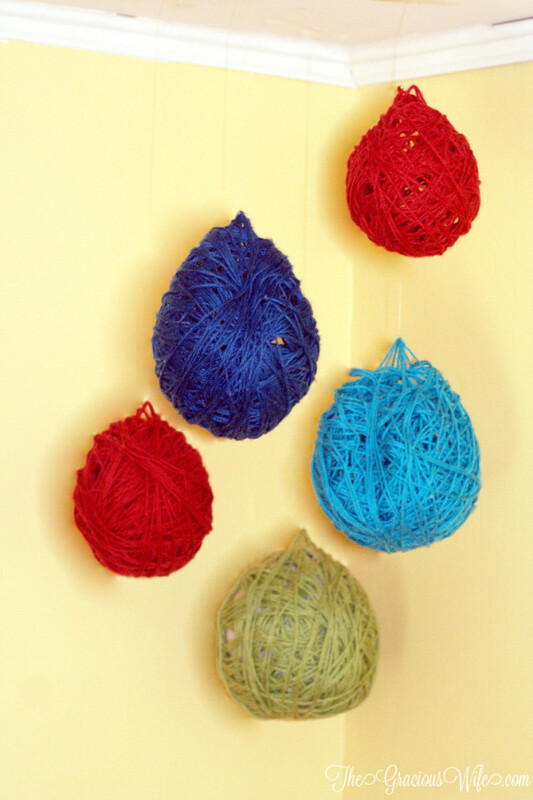 I’m loving these DIY Yarn Chandeliers by The Gracious Wife! It would be a great addition to a party too. 12. 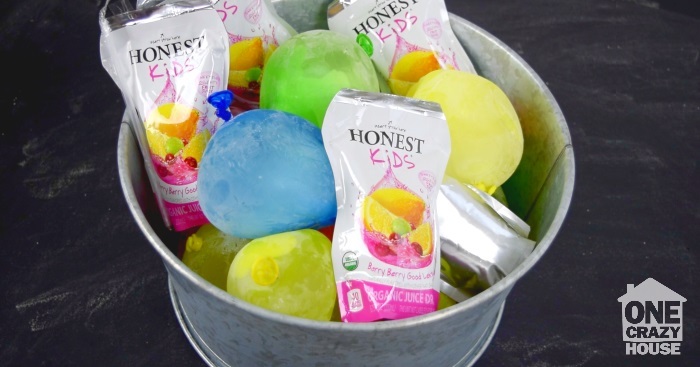 Use balloons to make this brilliant Balloon Cooler by One Crazy House! 13. This one really throws me back to pre-teenhood. 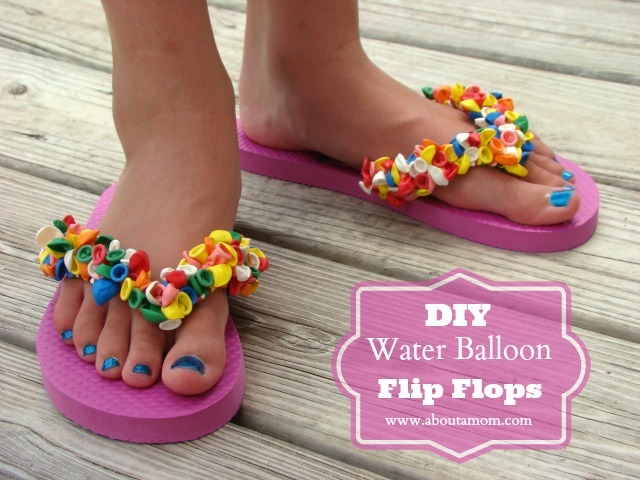 Make fun and cheerful Water Balloon Flip Flops by About a Mom. 14. 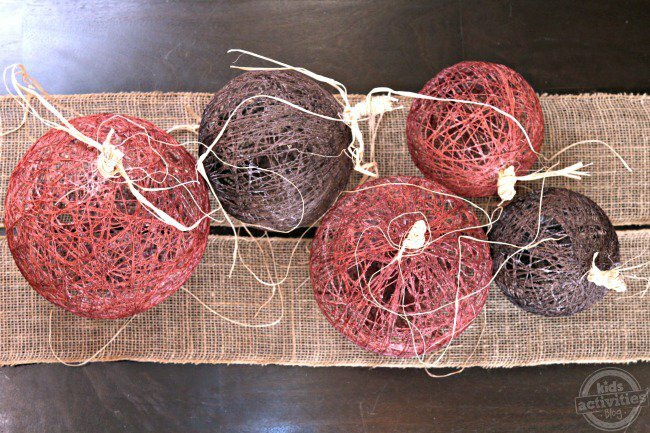 These Sugar String Pumpkins by Kids Activities Blog are so beautiful! I wouldn’t limit it to pumpkins – try it with any pattern! Do you have a stash of leftover party balloons? Which balloon crafts have you tried? Comment below, and make sure to share the love by hitting the share buttons to the left! Crafts for kids, Crafts for Teens, Kids, Recycled crafts, Tweens/Teens. Bookmark.